Home → Vape Deals → 3fvape Easter Sale! Save Extra 5% Off! 3fvape Easter Sale! Save Extra 5% Off! If you're looking to save a little extra cash during Easter Weekend, then you're definitely going to not want to miss out on this deal. 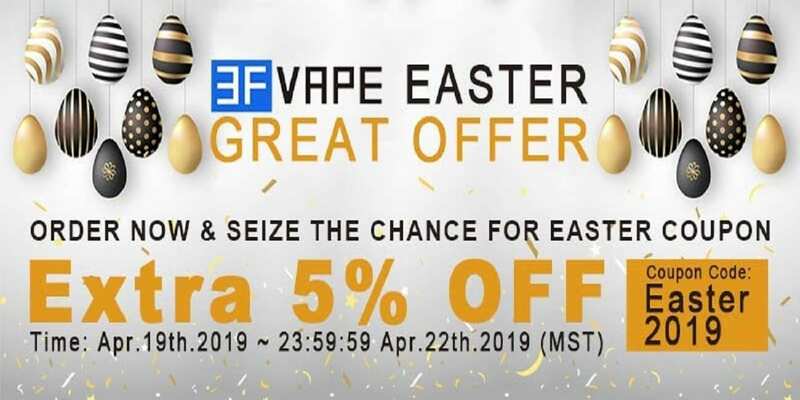 Save an extra 5% off at 3fvape using code "EASTER2019" with free shipping over $15! If you're looking to grab some cheap hardware, then this is the perfect deal for you! 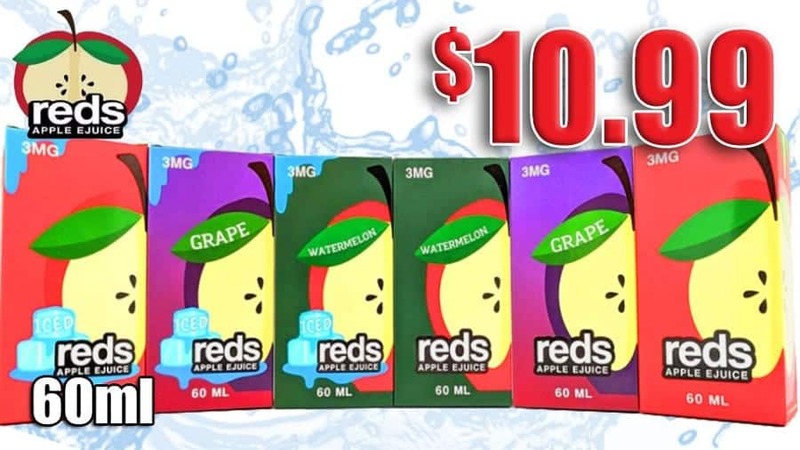 They already offer super low prices on basically everything they stock, and with the extra discount, you'll be able to save even more on all vape gear sitewide. Don't forget that you can get extra discounts on select products by simply logging into your account! You do have a few days to save on this sale, so we definitely recommend checking out everything they have to offer, which is a lot. They carry tons of different hardware like pod systems, RDAs, vape tanks, mods, mechanical tube mods, cotton, drip tips and much more. While this isn't the steepest discount available, they hardly ever offer any type of discount at all, so you'll save just a few extra dollars on your order. Remember, free shipping is included if your order total if over $15, so be sure to take advantage. This sale does end 4/22/19.